I have a lot of family in Bangkok, including my mother, grandmother, brother and his wife's family. Everyone is safe from the floods thankfully, but my brother and my sister-in-law were forced to evacuate from their home since the water in the area is about 1 metre high. Athalie, my sister-in-law is organising a Flood Flashmob TODAY in order to help raise awareness about the situation in Thailand. They will send the end result to the 11/11/11 project, to be included in a documentary next year. Please see the information below if you want to participate. She's a talented musician and strung together a simple tune in both English and Thai, to be sung later today. See the youtube links below. Be part of a huge awareness flashmob to help Thailand flood relief! On Friday 11/11/11, we will meet at Big C at Saphan Khwai BTS Station, 16:30 to sing a message and spread it to the world. We will practice together first and then walk to Mo Chit (flooded area) to record a video of our message! In the youtube attachment, you will find a rough draft version of our motto. We will sing this mantra together and ad some new lines and rhythms of our own! So start thinking about the message you want to add to this existing chorus, and bring any percussion insruments you may have. The event will be in THAI and ENGLISH, we will have translation for everything. After our meeting, I will compile the material into a video and send it to the 11/11/11 Project. This will help the message spread faster and further. People of all backgrounds, all beliefs, and all levels of experience—with pure intention, let’s promote clean blood and clean drinking water for our country. Let’s put our hands and voices together to help Thailand! Every drop counts if it’s clean!! If you have any questions, CALL 086-1251434 (English) or 087-9207711 (Thai). 1. Yourself and as many friends as possible!! I think what most houses, establishments, buildings and others took for granted after that horrendous flooding in that majestic city was the mold removal milwaukee after the flood has subsided. 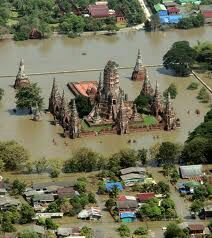 I don't see or feel the same spark of Bangkok after that flooding.